Call us to arrange your consultation. One of our project managers will come to your premises to talk through your all your wants and needs from your new floor. Whilst there they will take measurements allowing us to head back to the office to produce the initial space design. We will produce AutoCAD drawings showing the space you have and various options for your new floor. At this stage we can also begin to plan for how the space will be used (looking at your storage requirements or perhaps where to locate your new office space). Once you are happy that we have produced the best solution available for your space, we can provide you with a quotation for the works. Our quotations itemise the whole process for you, allowing you to be sure we have everything you need in hand. 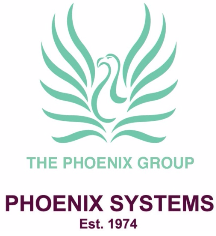 When the go-ahead is given by yourselves, Phoenix will work with you to ensure the work is carried out within your time frame and with minimal disruption to your business. At the end of this process you will be presented with a project program, health and safety document and any details of building controls consent (should this be required). At Phoenix Systems we strongly believe in building relationships. Therefore your project work will always be handled by the same Project Manager throughout, from quotation to completion. Making sure the build is carried out to the highest standards and in a health and safety conscious manner, our project managers will be on hand to answer all your questions throughout the process.